NOW IT IS MUCH EASIER TO SHARE YOUR OLD MOVIES. We can transfer your tapes to archival DVD for much more secure long term storage. VHS, VHS-C, Hi8, 8mm, Digital 8, Betamax and MiniDV, but we are able to do many other less common formats. How do you transfer the tapes? All video tapes are transferred to DVD using a professional. We will put a maximum of 120 minutes onto a DVD, anymore and the quality starts to deteriorate. 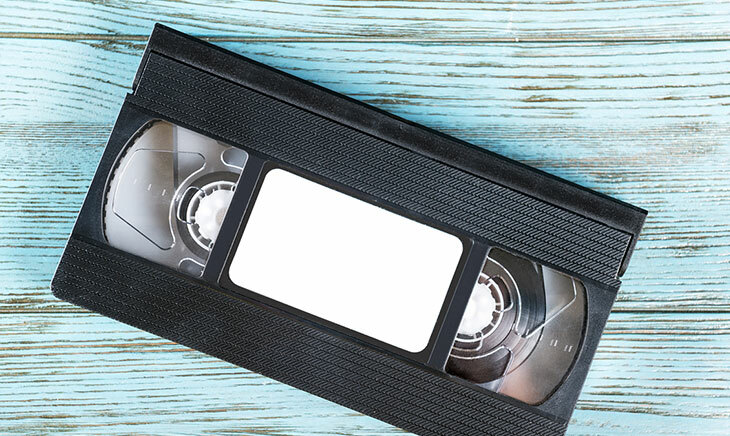 All video tapes are transferred to DVD in store, so your precious memories cannot get lost in the post. We can transfer your old movies to DVD, and then we can copy the DVD to make it easier for you to SHARE all those great old memories with family and friends. Super 8, Standard 8, 16mm and even 9.5mm Centre Perf Pathe can be copied onto DVD for you to preserve those old memories. Many movie films are starting to show signs of age, so don’t delay in archiving those old moving memories onto DVD. Tell me about the DVD’s you make? We offer Archival DVD’s as standard which are guaranteed for 100 years, and additional copy DVD's are available for just £10.00 each. All DVD’s are –R format for maximum compatibility but we can transfer onto +R discs on request. DVD’s are labelled and packaged in Amaray anti stress cases to protect you DVD for years to come. Will I get my old video tapes back? Yes, your tapes will be returned. 5 days, at peak periods it may take a little longer. We also offer an express service, please enquire.